MANY MORE BMW PARTS AVAILABLE. YOUR BMW SPECIALISTS. RIGHT HAND DRIVE CAR. We will always help you to have a 100% positive happy buying experience. SEND REQUESTS & WE WILL LIST AS BUY IT NOW. MANY MORE BMW PARTS AVAILABLE. YOUR BMW SPECIALISTS. RIGHT HAND DRIVE CAR. We will always help you to have a 100% positive happy buying experience. BREAKING COMPLETE CAR MOST PARTS AVAILABLE. We will ALWAYS try our best to help. MANY MORE BMW PARTS AVAILABLE. YOUR BMW SPECIALISTS. We will always help you to have a 100% positive happy buying experience. RIGHT HAND DRIVE CAR. BREAKING COMPLETE CAR MOST PARTS AVAILABLE. SEND REQUESTS & WE WILL LIST AS BUY IT NOW. Part number: 61122181307. BMW 3 Coupe E92. For Sale is a Roof Switch Control Panel. Removed from a 2015 F56 BMW MINI 1995cc Diesel 3 Door Hatchback. Part Number: 9370855. Please see item description for more information, you will receive everything you see in the images. OEM Numbers: 61131362361 / 61 13 1 362 361 / 1362361. BMW CMSP E30 M3 Gr.A/DTM S14 1987/01 Coupe 1930-1931. BMW CMSP E30 M3 Gr.N S14 1987/01 Coupe 1928-1932. BMW E30 320is S14 1988/01 Saloon 1987-1990. MANY MORE BMW PARTS AVAILABLE. YOUR BMW SPECIALISTS. RIGHT HAND DRIVE CAR. We will always help you to have a 100% positive happy buying experience. We will ALWAYS try our best to help. SOLD AS PER PICTURE. BMW F34N 330i B48 2016/07 Gran Turismo 2015-2017. BMW F36N 430iX B46 2017/03 Gran Coupe 2016-2017. BMW F33N 430i B46 2017/03 Convertible 2016-2017. BMW F33 430i B46 2016/07 Convertible 2015-2017. BMW F33 430i B48 2016/03 Convertible 2015-2017. Item Specifics:2001 - 2008 - R56 - 1.6 DIESEL - ENGINE LOOM - ENGINE CODE W16. Manufacturer:MINI (BMW). OEM Numbers: 61138367273 / 61 13 8 367 273 / 8367273. BMW E36 316i M40 1990/12 Saloon 1990-1994. BMW E36 316i M40 1991/01 Saloon 1990-1994. BMW E36 316i M40 1991/04 Saloon 1990-1994. BMW E36 316i M40 1991/06 Saloon 1990-1994. MANY MORE BMW PARTS AVAILABLE. YOUR BMW SPECIALISTS. RIGHT HAND DRIVE CAR. We will always help you to have a 100% positive happy buying experience. SEND REQUESTS & WE WILL LIST AS BUY IT NOW. SOLD AS PER PICTURE. RIGHT HAND DRIVE CAR. We will always help you to have a 100% positive happy buying experience. We will ALWAYS try our best to help. neutral or. PART NUMBER - 8373946. REMOVED FROM 2004BMW 320D E46 3 SERIES 2.0 DIESEL. THIS DOES NOT INCLUDE NI, ROI, HIGHLANDS OR OFFSHORE ISLANDS. TOURING - 6 SPEED MANUAL GEARBOX. We cannot be held responsible if the item does not fit your vehicle. OEM Numbers: 61131363375 / 61 13 1 363 375 / 1363375. BMW CMSP E30 M3 Gr.A/DTM S14 1987/01 Coupe 1930-1931. BMW CMSP E30 M3 Gr.N S14 1987/01 Coupe 1928-1932. BMW E30 320is S14 1988/01 Saloon 1987-1990. OEM Numbers: 61138350948 / 61 13 8 350 948 / 8350948. BMW Z3 Z3 2.8 M52 1998/01 Coupe 1996-2000. BMW Z3 Z3 2.8 M52 1998/09 Coupe 1996-2000. BMW Z3 Z3 3.0i M54 2000/06 Coupe 1999-2002. BMW Z3 Z3 M3.2 S50 1998/04 Coupe 1996-2000. OEM Numbers: 61126937559 / 61 12 6 937 559 / 6937559. BMW E53 X5 3.0d M57 2001/04 SUV 2000-2003. BMW E53 X5 3.0d M57 2001/05 SUV 2000-2003. BMW E53 X5 3.0d M57N 2003/10 SUV 2003-2006. BMW E53 X5 3.0i M54 2000/04 SUV 1999-2006. MANY MORE BMW PARTS AVAILABLE. YOUR BMW SPECIALISTS. RIGHT HAND DRIVE CAR. BREAKING COMPLETE CAR MOST PARTS AVAILABLE. We will always help you to have a 100% positive happy buying experience. SEND REQUESTS & WE WILL LIST AS BUY IT NOW. Positive battery lead 6936653;. 2005 BMW 1 SERIES which we are dismantling. BMW 1 SERIES Misc. The Part imaged and described is th eactual part you will recieve. VIN number WBAUG32020PN72655. This actual part was removed from a.
OEM Numbers: 61136918258 / 61 13 6 918 258 / 6918258. BMW E61N 520d M47N2 2007/03 Estate 2006-2008. BMW E60N 520d M47N2 2007/03 Saloon 2006-2008. BMW E61N 520d N47 2007/09 Estate 2006-2010. BMW E60N 520d N47 2007/09 Saloon 2006-2009. BMW F10 528iX N20 2011/09 Saloon 2010-2013. BMW F10 535d N57S 2010/09 Saloon 2009-2011. BMW F07N 535d N57Z 2013/07 Gran Turismo 2012-2017. BMW F07 535d N57Z 2012/07 Gran Turismo 2011-2013. BMW F07 535d N57S 2010/03 Gran Turismo 2009-2012. MANY MORE BMW PARTS AVAILABLE. YOUR BMW SPECIALISTS. RIGHT HAND DRIVE CAR. We will always help you to have a 100% positive happy buying experience. SEND REQUESTS & WE WILL LIST AS BUY IT NOW. We will ALWAYS try our best to help. OEM Numbers: 61131363374 / 61 13 1 363 374 / 1363374. BMW E30 316 M10 1983/10 Saloon 1982-1990. BMW E30 316 M10 1983/11 Saloon 1982-1990. BMW E30 316 M10 1985/12 Saloon 1982-1990. BMW E30 316i M10 1987/09 Saloon 1987-1988. OEM Numbers: 61136919402 / 61 13 6 919 402 / 6919402. BMW F13 640d N57Z 2011/09 Coupe 2010-2015. BMW F13 640dX N57Z 2012/03 Coupe 2011-2015. BMW F13 640i N55 2011/07 Coupe 2010-2015. BMW F13 640i N55 2011/09 Coupe 2010-2015. OEM Numbers: 61218382465 / 61 21 8 382 465 / 8382465. OEM Numbers: 61131352607 / 61 13 1 352 607 / 1352607. BMW E3 3.0Si M30 1971/09 Saloon 1971-1977. BMW E3 3.0Si M30 1973/10 Saloon 1971-1977. BMW E9 3.0CSi M30 1973/11 Coupe 1972-1975. BMW E92 320xd N47 2008/09 Coupe 2008-2010. BMW E90 330xi N53 2007/09 Saloon 2007-2008. BMW E92N 335xi N55 2010/03 Coupe 2008-2013. BMW E92 335xi N54 2007/09 Coupe 2007-2010. BMW E91N 335xi N55 2010/03 Estate 2009-2012. BMW E92N 325xi N53 2010/03 Coupe 2010-2013. BMW F25 X3 20dX B47 2014/04 SUV 2013-2017. BMW E90N 335xi N55 2011/04 Saloon 2009-2011. BMW E90N 335xi N55 2010/03 Saloon 2009-2011. BMW E90N 335xi N54 2008/09 Saloon 2007-2010. MANY MORE BMW PARTS AVAILABLE. YOUR BMW SPECIALISTS. RIGHT HAND DRIVE CAR. neutral or. We will always help you to have a 100% positive happy buying experience. SEND REQUESTS & WE WILL LIST AS BUY IT NOW. OEM Numbers: 61136909083 / 61 13 6 909 083 / 6909083. Rolls-Royce RR1N Phantom N73 2012/06 Saloon 2011-2016. Rolls-Royce RR1N Phantom EWB N73 2012/06 Saloon 2011-2016. Rolls-Royce RR1 Phantom N73 2003/01 Saloon 2002-2012. OEM Numbers: 61136932889 / 61 13 6 932 889 / 6932889. BMW E64 645Ci N62 2003/12 Convertible 2002-2005. BMW E64 650i N62N 2005/09 Convertible 2005-2007. BMW E63 645Ci N62 2003/09 Coupe 2002-2005. BMW E63 650i N62N 2005/09 Coupe 2005-2007. MANY MORE BMW PARTS AVAILABLE. YOUR BMW SPECIALISTS. We will always help you to have a 100% positive happy buying experience. RIGHT HAND DRIVE CAR. We will ALWAYS try our best to help. neutral or. 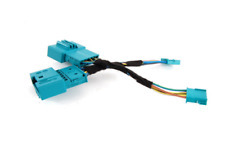 Removed from a 1994 BMW 5 SERIES E34 520I SE 1991 5 Speed MANUAL PETROL 4 DOOR SALOON this Relay Module Suits E34 5 Series models The BMW Part Number for this item is 61351379741 Please use all the information supplied in this listing to ensure this item is compatible with your Vehicle. If you have any questions please contact us quoting "Tag Number 34654 . Removed from a 1995 BMW 8 SERIES E31 840CI 3982 AUTOMATIC PETROL Oxford Green 324 Coupe this Head Light Flasher Relay Module Suits E31 8 Series models only. The BMW Part Number for this item is 61351392416 Please use all the information supplied in this listing to ensure this item is compatible with your Vehicle. If you have any questions please contact us quoting "Tag Number 43257 .